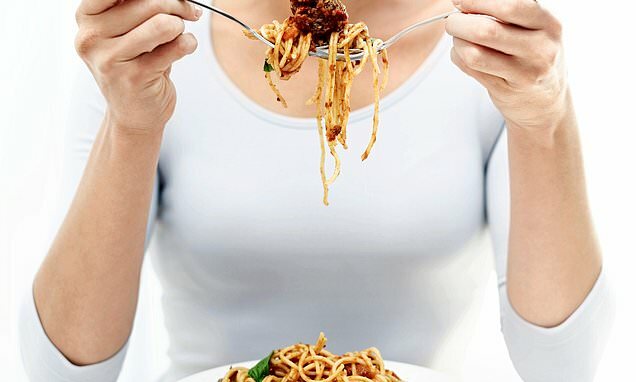 It may be a new year, but it seems the same old arguments are still raging about carbs. ‘Blow to low-carb diets’, ran some headlines last week, in the wake of a World Health Organisation-backed study that found people who eat the most wholegrain bread, grains and pulses – foods rich in fibre, and also carbohydrate – have the lowest risk of heart disease, stroke and bowel cancer. The study’s author, Professor Jim Mann of the University of Otago in New Zealand, also hit out at ‘fashionable’ low-carb diets, popularised by celebrities. The findings come after a report in August which suggested that those who stick to very low-carb diets, mainly of meat and animal fats – such as the keto, or ketogenic diet, and Atkins diet – die four years younger, on average, than those who eat even large amounts of carbs. Moderate intake, however, was linked with the best longevity. In other words, lots of carbs are bad. So where does the truth lie? Carbs, mostly, come in three forms in the average diet. First there are sugars, made up of single molecules of glucose, fructose and sucrose.Table sugar, for instance, is typically 50 per cent glucose, 50 per cent sucrose. Maple syrup is a mix of sucrose, with some glucose and fructose, and water. And so on. Then there are starchy foods, which include bread and potatoes, but also rice, pasta and breakfast cereals. These starchy foods are made up of long chains of glucose molecules that get broken down in our guts and released as glucose into our blood. Depending on how highly processed they are, these foods either contain a lot of healthy fibre, or not much. Then there are fruits, vegetables and pulses – like lentils – which contain varying amounts of carbs, but also contain fibre.